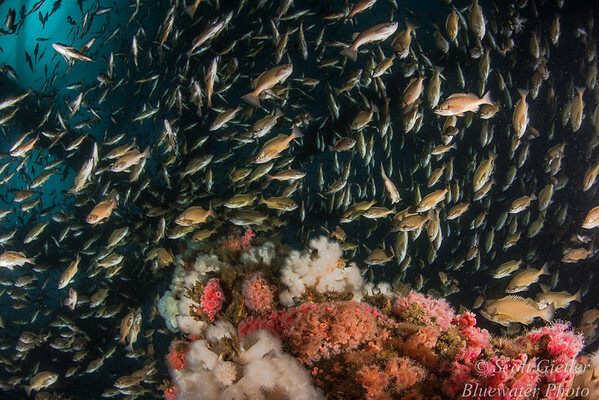 Dive under the Rigs with Bluewater Photo! 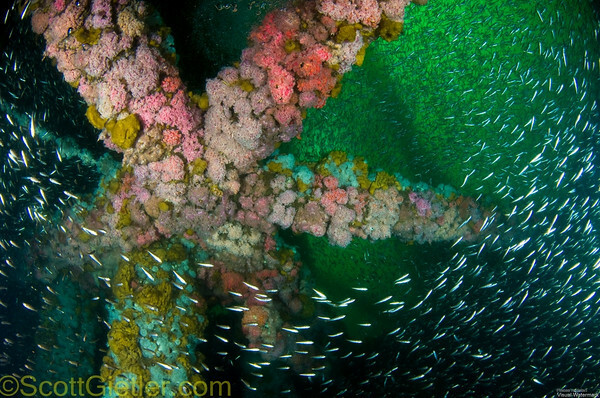 The Pacific Star will depart San Pedro at 7AM for 3 dives. Lots of food and 2 air fills are included. You can sleep on the boat the night before if desired--just let us know! Staff will be available to you for one-on-one photo questions, travel questions, or whatever you need! 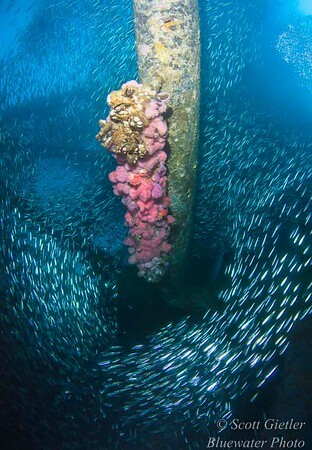 Join us to one of the most iconic dive locations in the Southbay. 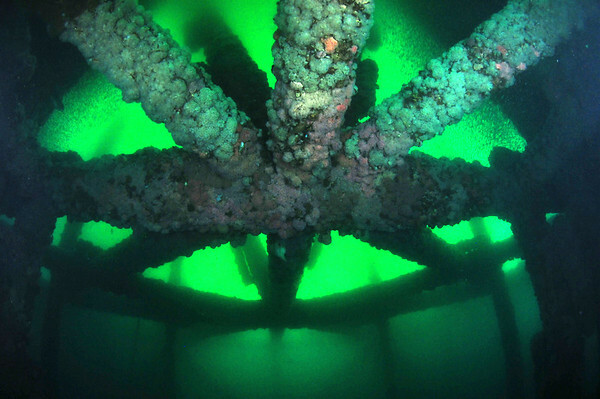 Long Beach Oil Rigs, Eureka, Elley & Ellen - The oil rigs offer extremely unique structure for diving with long columns stretching into the depths. 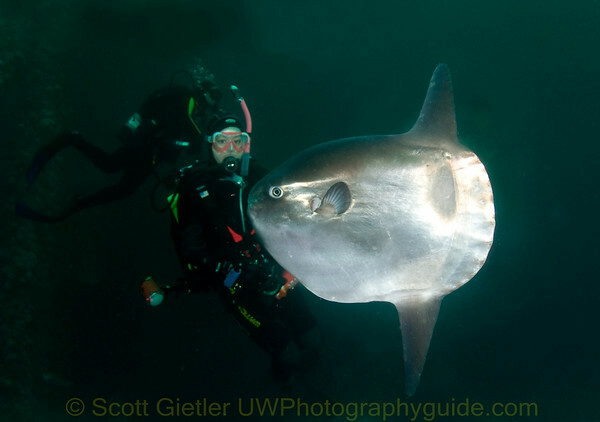 Their location and structure often attract pelagics like Mola Mola. 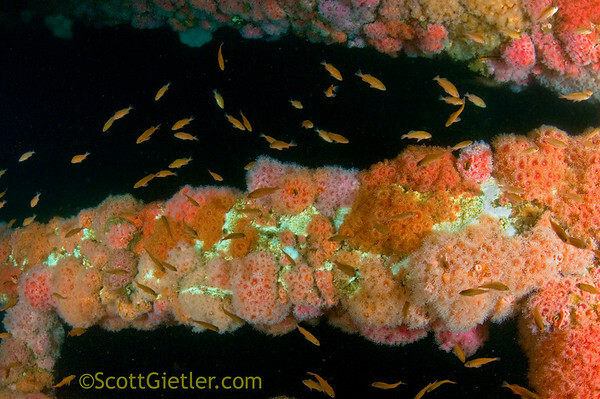 The rigs themselves are covered with marine growth, beautiful anemones, metridians, and more. 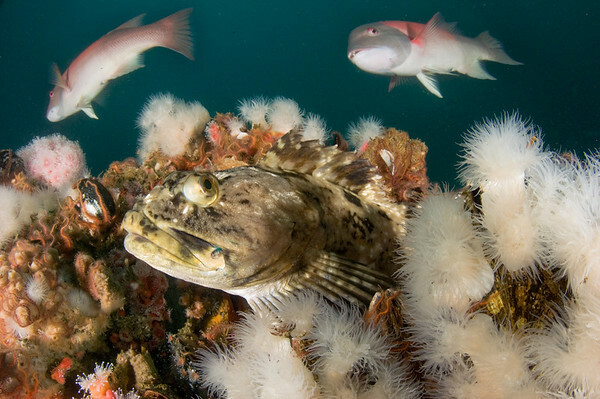 They are also home to a variety of fish, scallops and more. NOTE: This is an advanced dive due to depths and possible current. You MUST have advanced open water or higher certification. 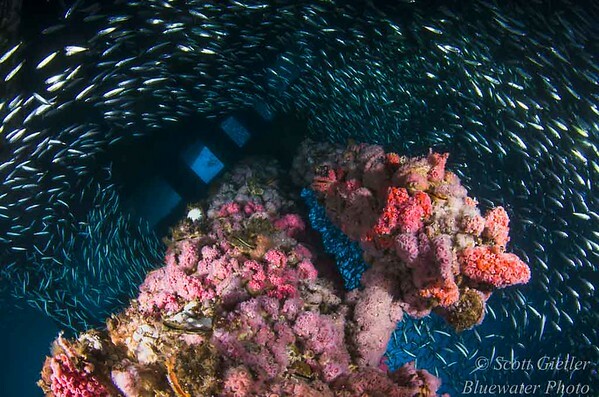 Our trips are geared towards the underwater photographer. 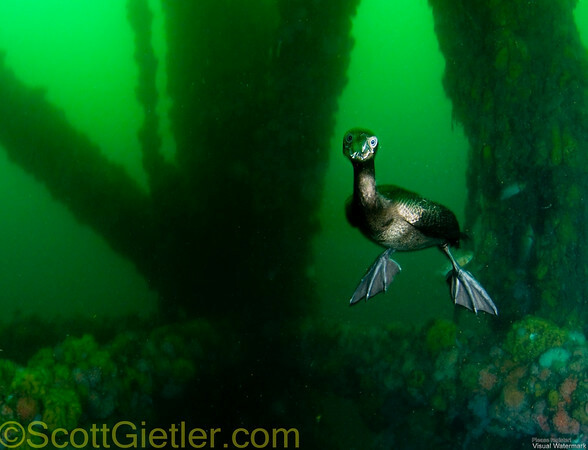 We aim to dive the best sites for photography, weather dependent. There are NO students on board, NO hunting* and NO oversold boats. 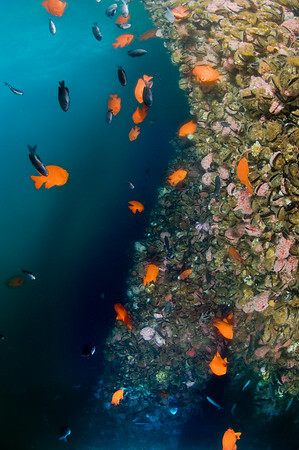 Come dive with us for a very enjoyable day on the water in SoCal! *Taking Scallops OK as long as properly licensed. 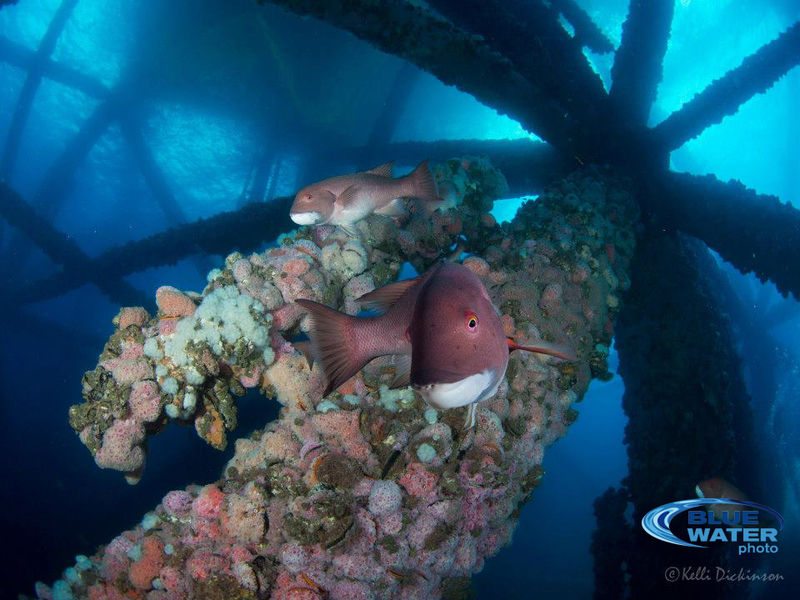 A curious sheephead comes in close - large fish are found all over the rigs.